Best of HR Services award? Best of HR ServicesTM is an industry award recognizing outsourced HR providers that have demonstrated exceptional service quality based exclusively on ratings provided by their clients. This annual award program helps service leaders differentiate in a crowded marketplace, and provides prospective clients with an added layer of assurance as they vet outsourced HR firms. Whether or not a company is selected relies entirely on the ratings given to them by their clients, making the Best of HR Services designation a credible point of differentiation for a provider's commitment to service excellence. Is my firm eligible for the Best of HR Services award? HR firms that conduct client surveys with ClearlyRated are eligible to compete for this one-of-a-kind industry award. Survey responses are validated and measured against industry standards on an annual basis - each year's winners are announced starting in February. The next available competition is the 2020 Best of HR services award. 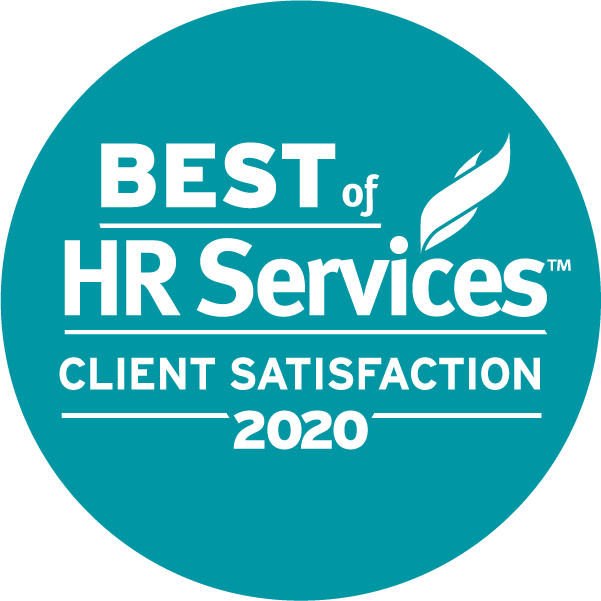 Contact ClearlyRated to learn more about the Best of HR Services award and to register for the 2020 award year. Each HR service firm's survey responses are calculated and validated by third party research firm and competition administrator, ClearlyRated. Based on industry benchmarks for the given award year, ClearlyRated determines the minimum satisfaction score that HR service providers must earn to be awarded Best of HR Services - ensuring client satisfaction and service quality of winning firms is significantly higher than the industry average.